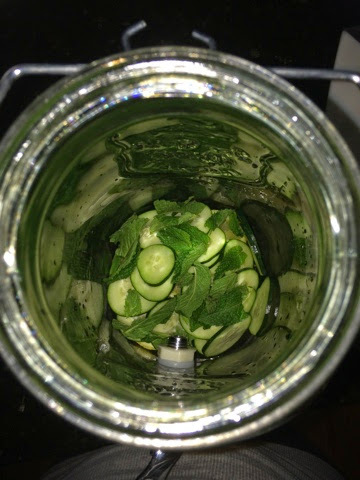 A weekend or two ago, I posted a little teaser photo on my Instagram showing cucumber, lemon and mint and told ya'll to stay tuned to see what I used them for. A while back, my sister sent me this awesome water recipe from Lipstick, Heels & A Baby and I finally got the ingredients to make it last weekend, and have to share with you. 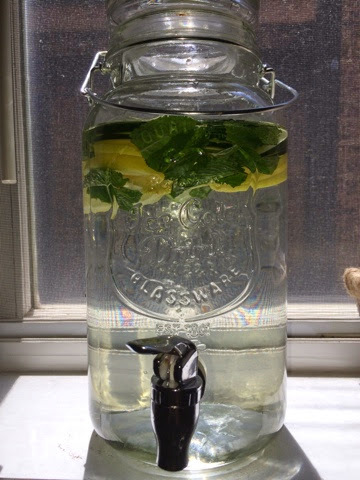 The water helps detox, enrich and boost your metabolism. AND it's easy to make. What else do you want!? 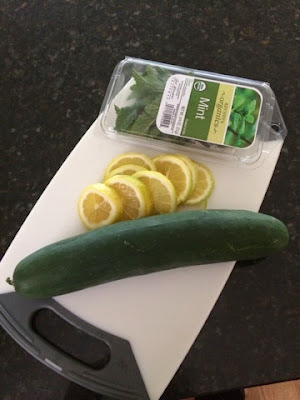 1.Slice the cucumber and lemons into thin slices. 2. 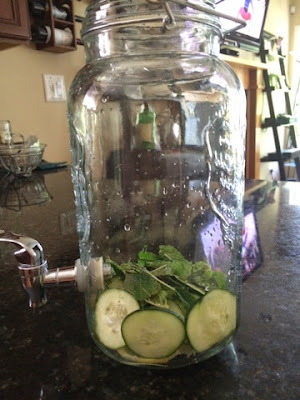 Either crush your mint, or just put in whole leaves. 3. 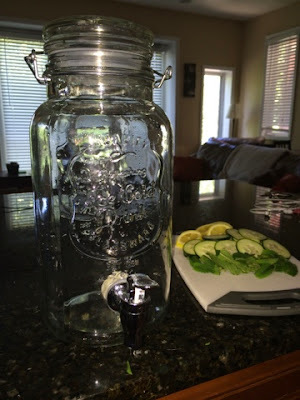 Throw all of it into a gallon of water. 4. Let sit overnight (about 8 hours). Enjoy! And there you have it! A delicious, refreshing water recipe to keep you cool this summer. Sounds refreshing. Like something you'd get at a spa. Definitely will be trying it. 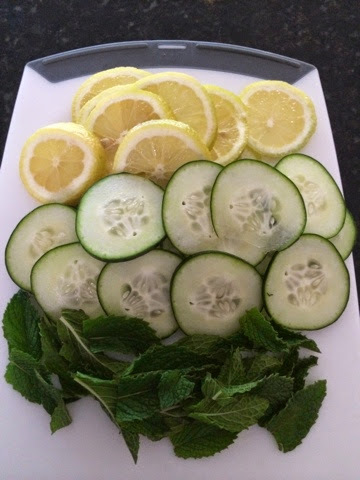 Lemon and mint? That sounds so good! I'll have to make some.